As I settled in front of the TV Sunday night, I almost forgot about the much talked about Aaliyah biopic on Lifetime, probably by my own subconscious volition. And because curiosity almost always takes the best of me, I settled on a replay of the movie (it premiered Friday) based on one of my favorite artists of all time, and it was was I expected: not good at all. I had not really researched Aaliyah: Princess of R&B, as this was the same network that churned out two recent painful attempts at biopics, one following the "true story" of the Saved By The Bell teenaged cast and one on the life of Brittany Murphy. Had they not learned their lesson? Like Murphy's film, the making of Aaliyah's biopic has been riddled with disapproval of her family, friends and fans, who felt that Aaliyah's story was worth more than the low-budget mess that it was shaping out to be. One of the most staunch opposers of the Lifetime film was Timbaland, Aaliyah's producer, collaborator and most of all, close friend. In the immediate aftermath of the airing of Princess of R&B, social media was flooded with criticisms of the poor depiction of Aaliyah's life — notably the extremely poor casting choices, terrible script and questionable acting. And as someone who has been an Aaliyah fan since I was in elementary school, one of the biggest turn-offs for me was the news that the film did not receive the rights to use Aaliyah's recordings of her songs — you know, the angelic voice that made Aaliyah one of brightest stars in R&B. I'm not here to completely bash a young, up-and-coming actress, Alexandra Shipp did the best Aaliyah impersonation she could do with the material that she was given, and she had some bright moments that seemed to capture Aaliyah's ambition and bubbling, fun personality. But back to Timbaland, his reaction to the film echoes all of these sentiments. The producer was on a mission to use his social media platforms to steal all of the spotlight, declaring in one Instagram video post, "they will feel my wrath tomorrow morning," and man, did he throw it OUT THERE. Beginning on the night that the film aired, Timbaland launched a series of 37(!!) posts on his Instagram feed, featuring memes and videos, all which were supported by many followers who agreed with the criticism of the film. This should serve a lesson to Lifetime and other film producers, that just because the story is public it doesn't mean that it should be portrayed on screen. Aaliyah's family and fans are still a tight knit and dedicated group who only want her story to be told if the project is up to the quality that it deserves. As a huge fan, I only hope that those who consider themselves true fans can look beyond a crappy movie and focus on all the wonderful gifts that Aaliyah left us. 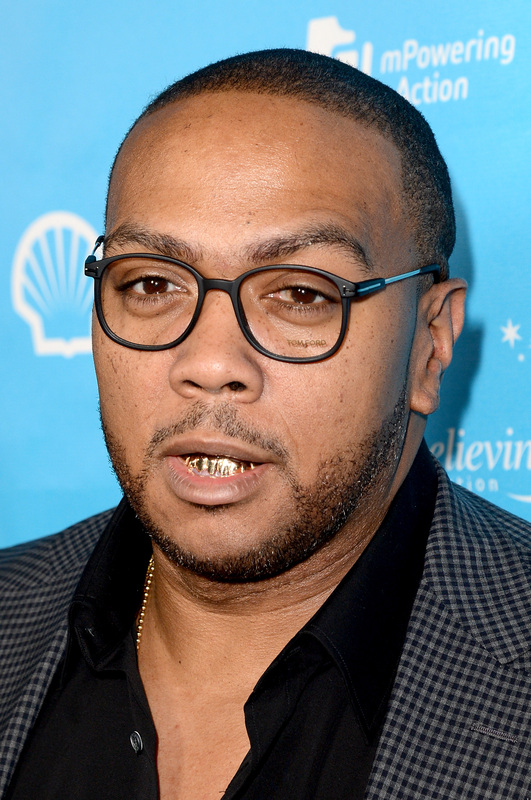 And, as Timbaland so eloquently assure his followers, "we must get back to the music — f*ck that movie." Well said, Tim.